Rowdy Gaines will be the special guest speaker. REGISTRATION HAS BEEN CLOSED…THE EVENT IS SOLD OUT. The 2016 NCS Awards Banquet will be held at the Charles Mack Citizen’s Center in Mooresville, NC on Saturday, October 1, 2016 from 6:30 pm-9:30 pm. 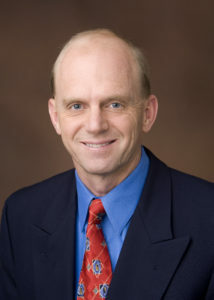 The Special Guest Speaker will be 3-Time Olympic Gold Medalist and “The Voice of USA Swimming”, Rowdy Gaines. There will be a meet and greet with Rowdy Gaines beginning at 5:30 pm. NCS ALL STAR SWIMMERS and NCS TOP FIVE SWIMMERS in attendance will be recognized but only tickets for those on the All Star List below are complimentary. The ticket price for all others, including coaches, officials, parents, family members, and other swimmers is $20. The All Star list above includes those who achieved All Star status during the short course season or during the long course season. It includes those who were named All Stars by achieving Top Five age group AAAA times in at least two strokes; by achieving a National Top Ten time, or by being selected as an Open Water All Star. The Top Five lists above include those listed in the season-ending NCS Top Five times by age group for both short course and long course in at least one event. NCS has limited block of rooms reserved at area hotels. Please contact the hotels directly if you need a room for Saturday night. Tell them you are with NC Swimming to receive the group rate. Tickets can be purchased by clicking the PayPal link on the registration form. REMEMBER: Registration is not complete until payment is received. Registration payments are non-refundable. Click the Registration link or the Awards Banquet logo to register. REGISTRATION DEADLINE for the Awards Banquet is Friday, September 23, 2016 or earlier, if registration reaches 300.